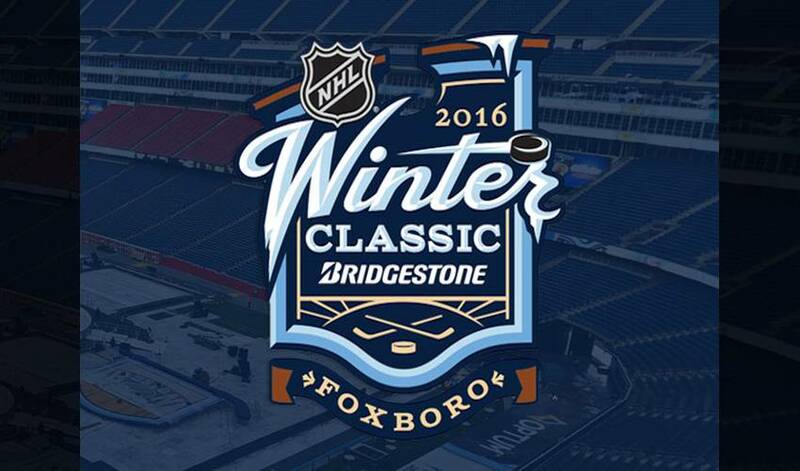 It’s one of sport’s most unique and highly anticipated events, showcasing two iconic teams taking their rivalry outdoors for the 2016 Bridgestone NHL Winter Classic. The Montreal Canadiens and Boston Bruins have combined to win 30 Stanley Cups – 24 for the Habs, six for the B’s – faced-off against one another 177 times in the playoffs, in 34 post-season series, along with nine Game 7 clashes (a record in North American professional sports). It’s no surprise that the Players are pumped at the prospect of skating away with bragging rights when they meet on New Year’s Day in the eighth edition of the popular outdoor contest. Dale Weise, in the midst of a strong season with the Habs, can’t wait for the Original Six showdown. The Bruins will have home ice advantage with the game taking centre stage at Gillette Stadium, home to the New England Patriots, the National Football League’s four-time Super Bowl champions. Opened in 2002, the 68,756-seat stadium has been host to numerous high-profile sporting events, including three of the last four AFC Championship games, along with concerts featuring some of the biggest music headliners in the industry. Steve Webb, NHLPA Divisional Player Representative, appreciates the significance of what this game means to the ones competing in it. “Showcasing this great rivalry between two Original Six clubs with the Bridgestone Winter Classic on New Year’s Day, will make for a very memorable game for the players as well as the many sports fans in attendance at Gillette Stadium and those watching on TV,” said Webb. Seidenberg, a veteran of nearly 720 NHL regular season games and Cup winner with the Bruins in 2011, has had the Classic marked on his calendar for a while. “Growing up, we didn’t play too often on ponds, but when we did, we played all day,” he said. “We were frozen by the time we got home, but it didn’t matter. Now, to have the chance to play in this game, it’s very exciting. Boston got by Philadelphia Flyers 2-1 in the 2010 NHL Winter Classic, while the Canadiens hope to make their debut a winning one. The 2015 NHL Winter Classic featured Washington downing Chicago 3-2 (Troy Brouwer notched the winner with 12.9 seconds left in the contest) at Nationals Park. Dennis Seidenberg was halfway around the world, but he was along for the ride when Germany shocked the hockey world by claiming silver at PyeongChang 2018.